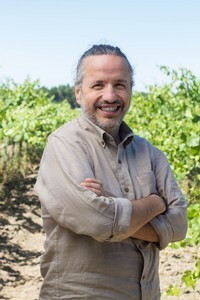 I will admit that after a brief tasting in my office with Ca’ Momi national sales manager (listed as “Direttore Nazionale Vendite” on their web-site) Jimmy Smith, I didn’t feel like I knew a whole lot about Ca’Momi the winery. Even after scouring the website, I didn’t glean much. The three partners – Valentina Guolo-Migotto, Dario De Conti, and Stefano Migotto – are from Italy and are all actively involved in the winery; Ms. Guolo-Migotto is the director of marketing and the two men are co-winemakers. Nevertheless, I don’t need any marketing hype to tell me that these are clean, focused, delicious, fruit-driven, food-friendly wines that are priced right. Just tasting through the range told me all of that. Since that initial tasting in Houston, I have visited the Ca’ Momi folks several times in their no-frills, industrial-park, you’d-never-know-it-was-a winery south of Napa. I am dazzled by their can do, nothing fancy, we’re-just-making-wine attitude and the quality of what they make at very everyday price points. Ca’ Momi Rosso di Napa (a fabulous pizza wine) at $9.99 is one of the world’s great wine deals. 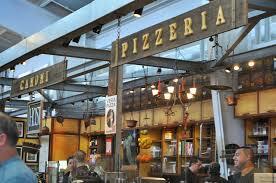 I am further dazzled by their “Obsessively authentic Italian” Ca’Momi Enoteca Pizzeria in Napa’s Oxbow Market. Dario is not only a wine scientist and wine maker and entrepreneur but he is also Napa Valley’s top Pizza Chef. You have to check this place out. If the plan at Ca’ Momi is to dazzle you with fruit in wines that are fresh and balanced with oak and terroir nuance, clearly it is working. The whole range pushes my buttons. The Bianco and the Rosso are incredible values and the rest of the line offers as much bang for the buck as any other winery I can think of. If you are open to something new and looking for value, give Ca’ Momi a try.